The volunteers of History Colorado are an important and dedicated group crucial to our operations. Volunteers play an important role in helping to tell Colorado’s story. Whether it’s greeting visitors at one of our many Community Museums, working behind the scenes of a new exhibit at the History Colorado Center, or inspiring school kids to explore our state's history, we have a variety of opportunities to use your special skills to bring Colorado’s history to life. Learn about internships & fellowships here. Click here to log in to record and schedule your time. Volunteer and take your place in history! A discount on History Colorado's Lecture Series. 1. Learn about open volunteer positions by selecting a location in the menu to the right or the list below. 3. Once your application is complete and submitted you'll be contacted to sign up for orientation. 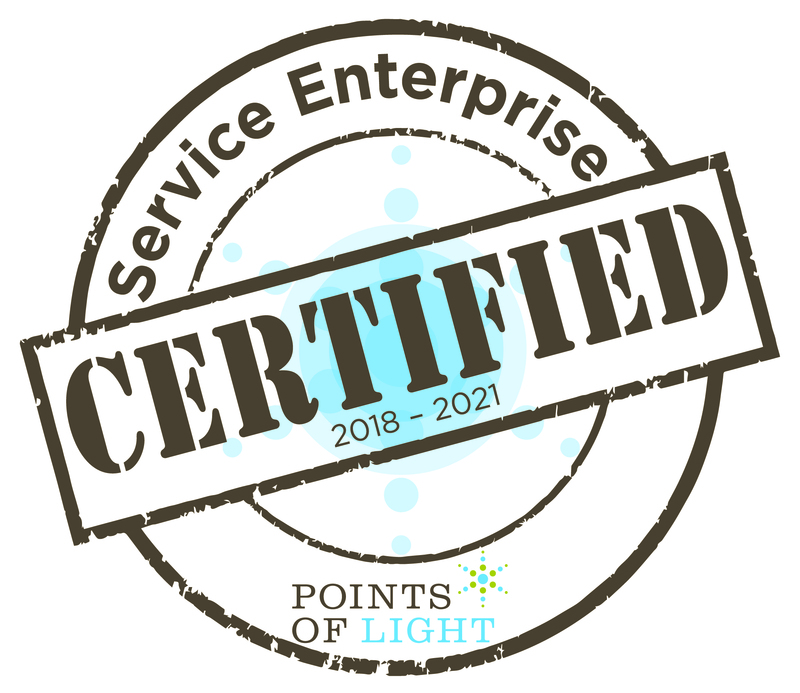 We have recently been certified by Points of Light as a Service Enterprise! A Service Enterprise is an organization that fundamentally leverages volunteers and their skills throughout their organization to successfully deliver on its social mission. For further information regarding the Service Enterprise Initiative, please contact Metro Volunteers. Please click the links below to learn about open volunteer positions. Interesting and rewarding volunteer opportunities await you at El Pueblo. We'd love to have you as a member of the Fort Garland team. Volunteers help with school programs and perform as mountain men or traditional dancers. Volunteer docents provide tours of this elegant and historic home to the general public. Volunteer at the historic Grant-Humphreys Mansion. Volunteers at the Healy House and Dexter Cabin lead school and adult tours, assist with events, or assist with the care of the heritage gardens. Volunteers in Denver assist our collections staff, facilitate educational programs and tours, assist with visitor information services, and more! We have volunteer tour guides, admissions staff, and field trip facilitators. We love our volunteers at Trinidad History Museum. Bring American Indian history and culture to life as a volunteer at Ute Indian Museum.